The LIBOR interest rate has the potential to fluctuate often and can be difficult to understand if you don't grasp the basics. Ed Craine, author and mortgage expert, presents LIBOR information to LoveToKnow readers in a simple to understand format. LoveToKnow (LTK): What is the LIBOR interest rate? Is LIBOR or Prime Better for Loans? Ed Craine (EC): LIBOR is an acronym for London InterBank Offered Rate. This is the rate that London banks charge each other for one-month, three-month, six-month and one-year loans. It is then used as the benchmark for bank rates globally. This rate helps banks determine interest rates for mortgages (including interest-only and adjustable rate) and credit cards. LTK: Who decides on the LIBOR rate? EC: The LIBOR rate is determined by the British Bankers Association, which is comprised of a panel of banks that represent each country, in each currency. The rate is published daily in conjunction with the news wire service, Reuters. LTK: What is the advantage to getting a loan based on the LIBOR? EC: Loans with interest rates based on the LIBOR are generally more widely available and provide more options than loans based on other indexes. This index also tends to go down quickly when rates go down, which can save borrowers money. LTK: What is the disadvantage to getting a loan based on the LIBOR? EC: The biggest disadvantage to getting a mortgage loan based on the LIBOR is that just as it goes down quickly, and rates decrease quickly, the index also goes up faster when rates increase, which can cost borrowers money. LTK: How often do LIBOR rates change? EC: For the typical mortgage, rates based on the LIBOR index will change either monthly or every 6 months, but the LIBOR itself changes daily. However, borrowers don't need to worry about that; that's for the banks to deal with. LTK: Is it possible to predict LIBOR rates? EC: While we can predict the very short term rates with occasional reliability, and we can predict things like "the LIBOR can't go much lower" and "Someday it will go up again," don't be fooled by anyone who says they can predict any interest rates. Not even the greatest economists in the world can predict with any degree of certainty where interest rates will be in a week, a month, a year, and certainly not several years from now. Anyone who tells you that they can predict rates is lying. LTK: How many lenders use LIBOR? EC: Most large lenders will use the LIBOR index to set interest rates. However, because adjustable rate mortgages (ARMs) are currently unpopular, not many LIBOR home loans are being made. On the commercial side of lending, LIBOR is used frequently to set fixed rate terms for 3, 5, 7 and 10 years, and to price adjustable rate loans for commercial properties. LTK: Is the LIBOR used primarily for one type of mortgage? EC: For residential loans, also known as home loans, LIBOR is only used for ARM loans. Commercially, LIBOR is used to set both ARMs and fixed-rate loans. LTK: What are some common misconceptions about the LIBOR? EC: The biggest misconception about the LIBOR index is that it's not a "good index" to borrow on. It is a great index for the right borrower. It's also a misconception that LIBOR is too volatile. While it can be -just as other indexes can be- it's no more volatile than CMT and Prime Rate, and as mentioned above, the volatility can be a benefit to borrowers when rates go down. Lastly, many people believe that it's a difficult index to understand. However, any mortgage broker worth their salt will be able to explain the pros, cons and inner workings of LIBOR to clients, in language that is easy to understand. 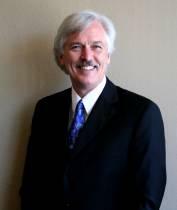 Ed Craine is CEO of San Francisco based Smith Craine Finance, an award winning mortgage brokerage. He was named the California Association of Mortgage Brokers' "Broker of the Year" in 2008. Ed serves as an Executive Director for BNI and is a contributing author to several NY Times Best Selling Books. Ed is also the publisher of Broker Banker Magazine. LoveToKnow would like to than Ed Craine for taking time from his busy schedule to share his expertise with readers and shed light on the LIBOR interest rate.